With the temperatures here in Chico hitting triple digits early this year, our Vintage Hen picking team headed south in search of cool vintage treasures and possibly some cool coastal weather. We hit the road early on a Sunday morning to take advantage of each precious picking minute, hitting Vacaville just when the shops were opening their doors. 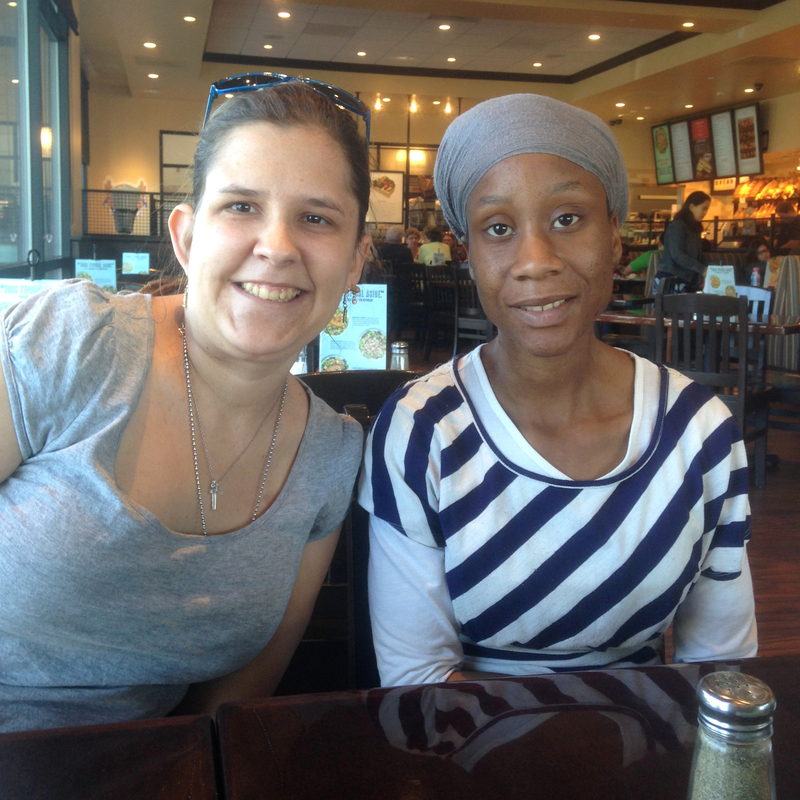 Most of the smaller thrifts were closed, but Goodwill and Savers are always open and we scoured their shelves for a few hours, finding a fair amount of vintage to make our stop worthwhile, until it was time for lunch at Boudin! We fared no better in Fairfield, it being Sunday, and all of the shops we stopped in on were closed. Sometimes that's the way it goes when you're on a pickin' trip, but we knew there was plenty of vintage treasure to be had elsewhere and continued our road trip to Santa Cruz. The closer we got, the more temperatures dropped and by the time we hit Highway 17 our windows were down and the cool ocean air was a perfect reward for 6 hours on the road. After checking into our hotel, we took a drive out to watch the surfers at Steamer Lane. 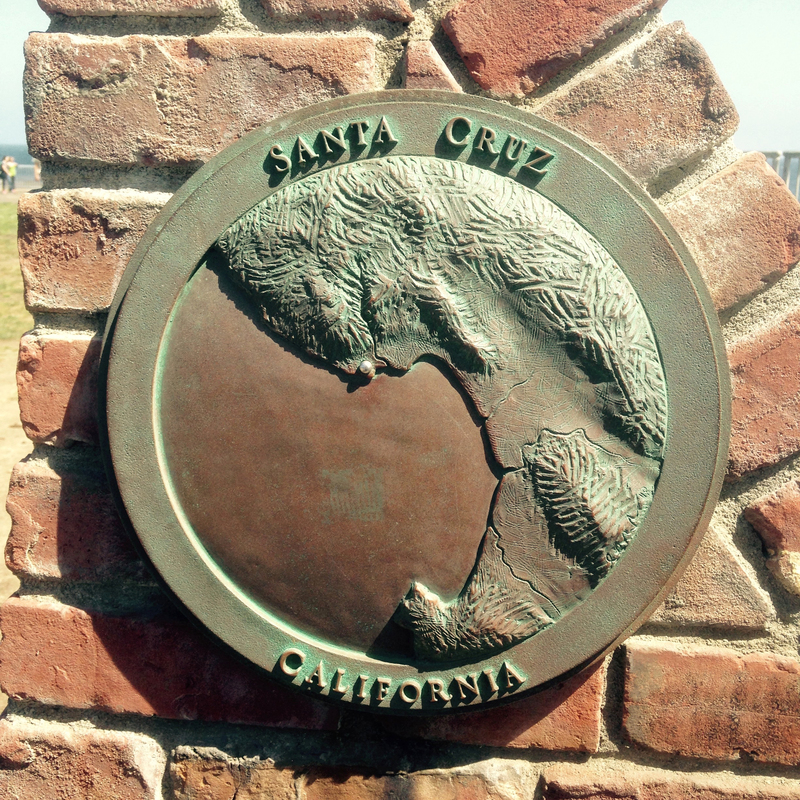 Then we strolled up to the point to check out the sea lions on Seal Rock and peek inside the world famous Santa Cruz Surfing Museum. It is always fun to explore new places while you are out pickin', I got to share some old favorite spots with my coworkers and we enjoyed being out of the car in the cool sea breeze after a long day of driving. Monday morning it was back to business, we were up with the sun and ready to make up for the slow picking day we had on Sunday. We started off Downtown at Mr Goodie's, one of my very favorite antique spots ever. It is packed to the ceiling with interesting oddities and eclectic vintage collectibles, I didn't think we were going to convince Chelsea to leave - she was all about their selection of vintage sunglasses. We didn't find anything to bring back to Chico with us, but had fun looking around and the gentlemen working the counter shared some good suggestions for other pickin' spots in Santa Cruz. 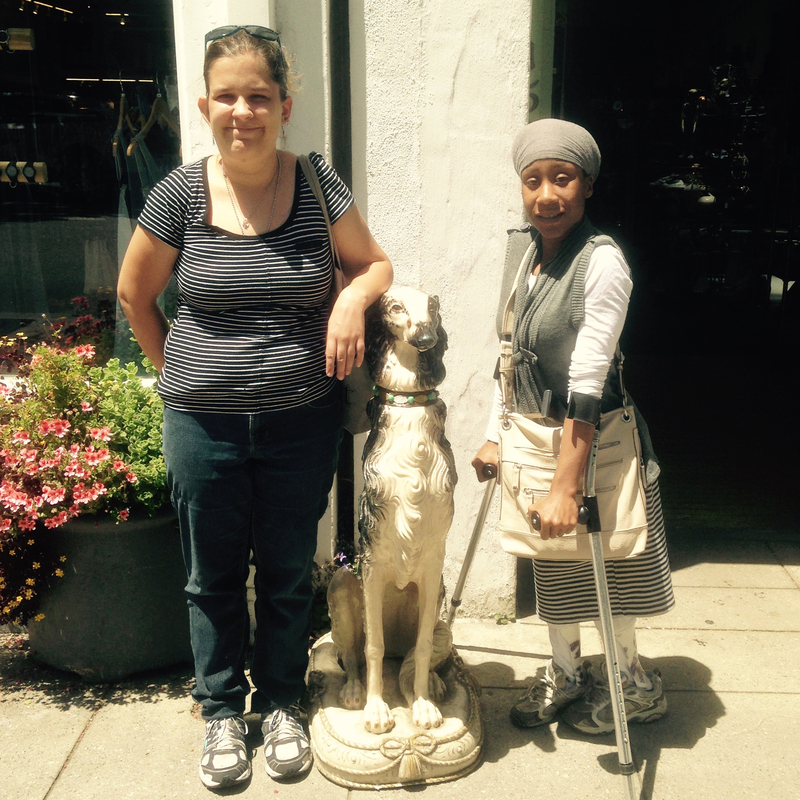 Right next door was a lovely vintage boutique called Miss Jessie May's, the ladies wanted to bring their gorgeous dog statue with us, but it was not for sale. This shop was a lot like our own Vintage Hen, refurbished furniture full of a nice blend of vintage and vintage inspired pieces. We got the cutest little deer figurine for free and one of us may have found a few kitsch brooches to add to her personal collection as well. 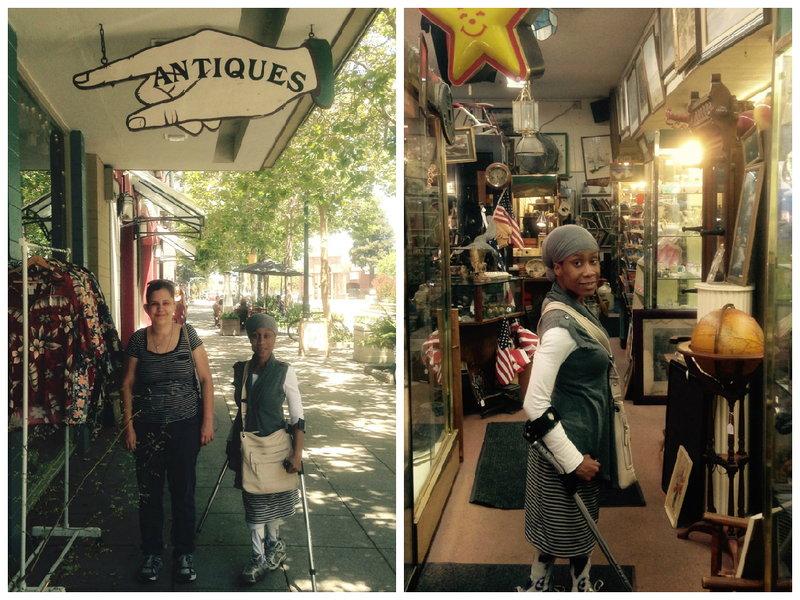 We would definitely recommend their shop to any vintage fans who might be traveling through the area. Anyone who has spent time in thrift shops and antique malls knows that some days the pickin' mojo just isn't on your side. It seemed like this was to be our fate in Santa Cruz, and every item we found had some sort issue that forced us to leave it behind. Either it had damage, was too high priced to be worth our while or looked vintage but was not. 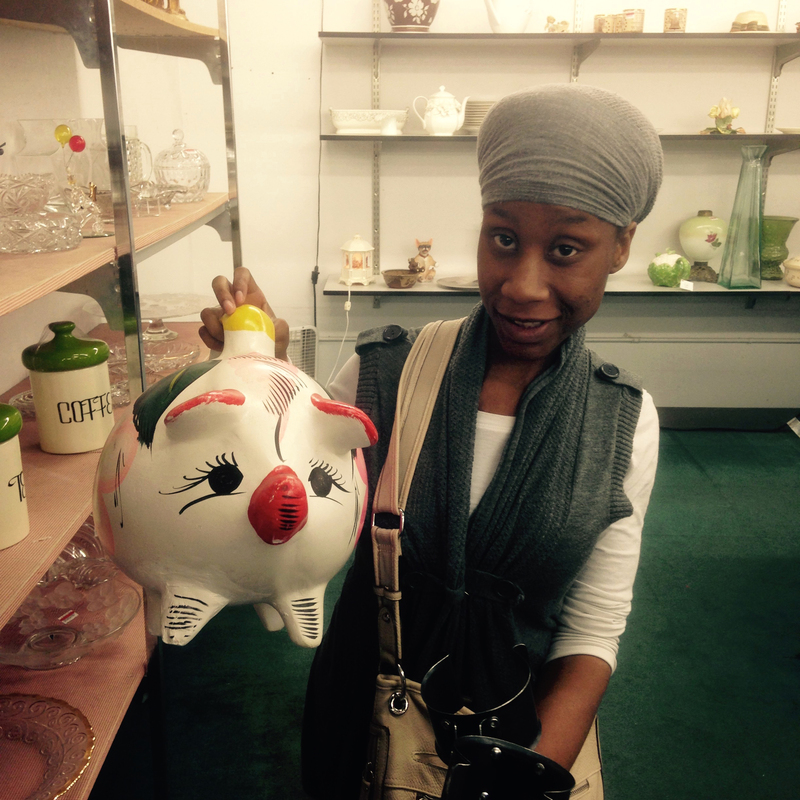 Chelsea was very fond of this huge Mexican pottery piggy bank at the two story Salvation Army, but it's leg had been repaired so we settled for a photo. Sometimes when pickin' you have to leave things behind that aren't worth your while, learning this lesson early on can save you money and time in the long run. Our perseverance paid off and we left Santa Cruz late in the afternoon on Monday with a fair amount of vintage treasure. 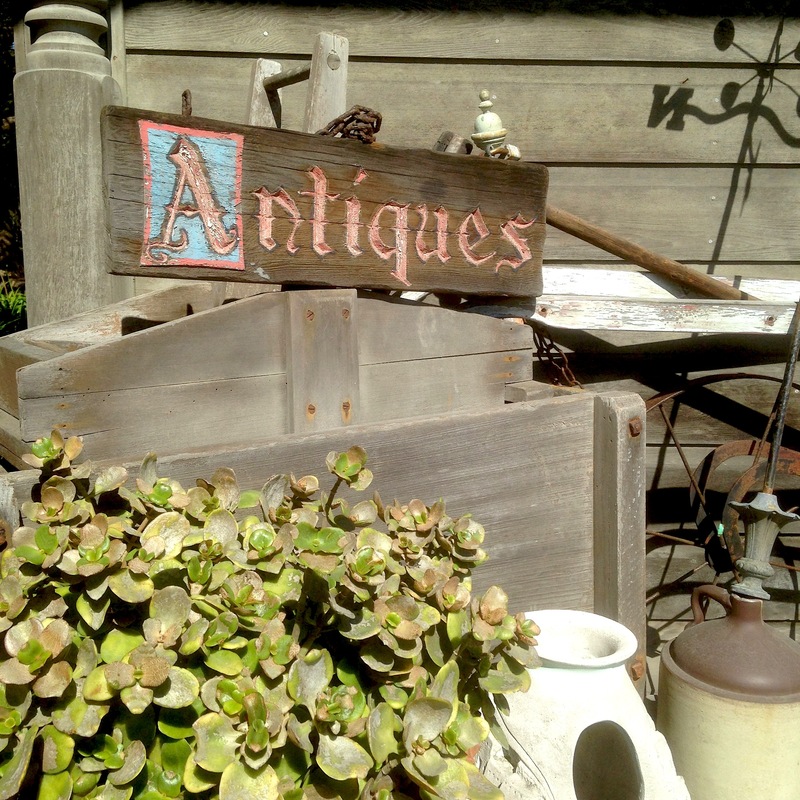 Our drive down the California coast toward Monterey was beautiful, we stopped into a large old building on the side of the road that was filled with high end antiques and took a quick photo of this great vignette on their porch. We arrived in Monterey, found our hotel, grabbed dinner at a burger joint downtown and hunted down the Goodwill that was open until 8pm for some quick last minute pickin'. We found a really cool set of San Francisco souvenir glasses for our ever growing travel section at Vintage Hen, we actually have an entire wall devoted to vintage travel souvenirs now. We went to Old Fisherman's Wharf to catch the sunset and watch the otters and sea lions play at the end of the pier, this was both Chelsea and Savannah's first time to Monterey. 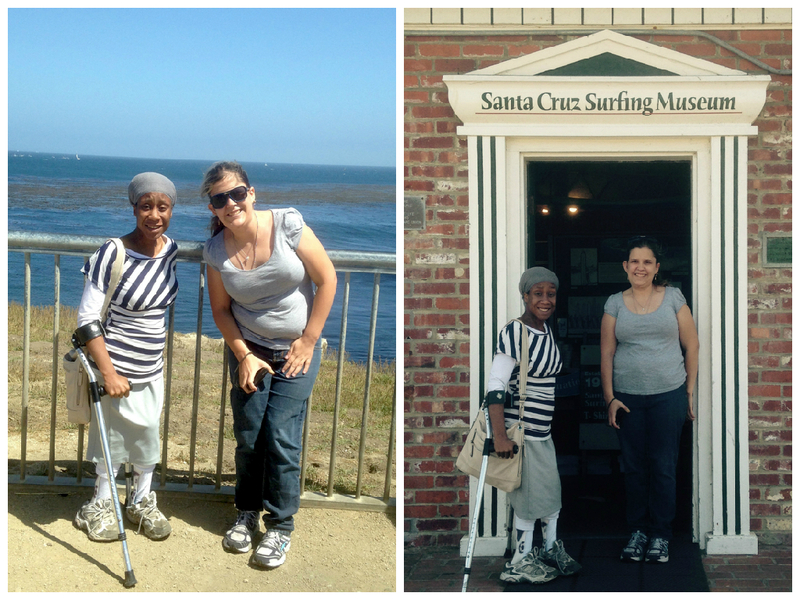 Driving toward Pacific Grove, they really enjoyed looking at the beautiful homes along the scenic coastal drive. You can be sure that all the while we were scouting out our pickin' route for the next day to save some time in the morning. The early bird gets the worm is one old saying that rings true with pickin', you have to be there first to see what they may have put out after closing the night before! 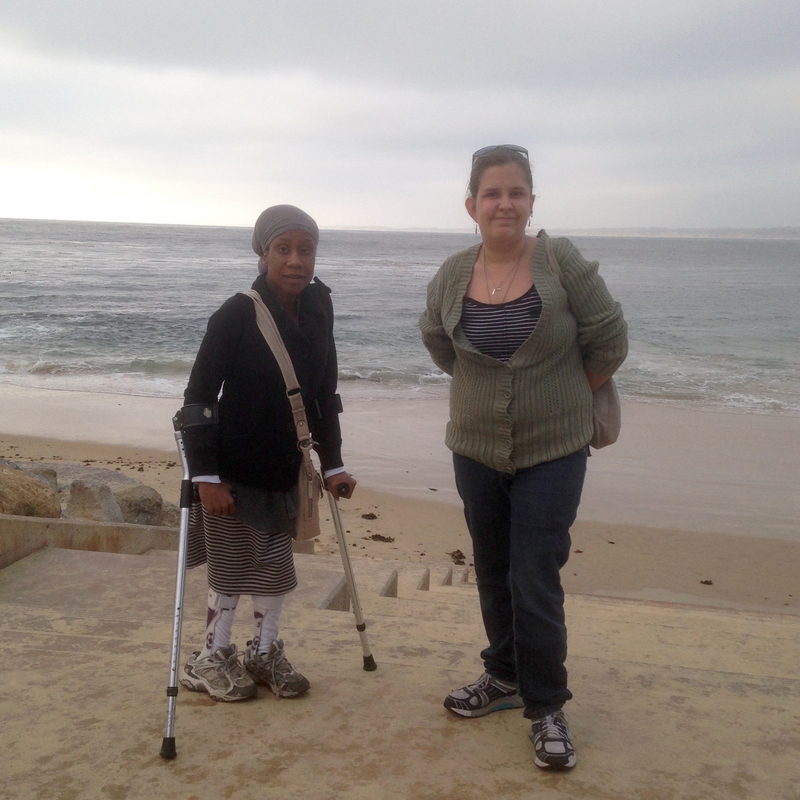 Our day started out at Spirals in Pacific Grove where we met Bobbie and Beverly. 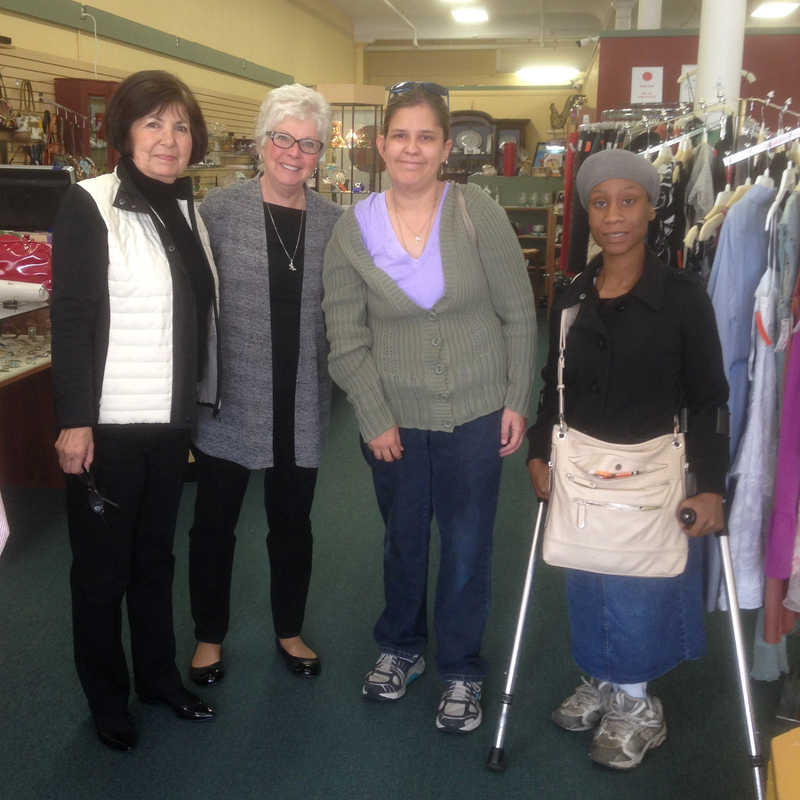 Spirals is a beautifully curated shop, the revenue raised through their thrift and consignment sales goes to support Alliance on Aging programs. These programs help older adults remain in their homes for as long as possible and help with medicare, taxes, counseling, etc. We found a great set of pastel 1950s tumblers and had fun chatting with these ladies about how rewarding it is working for local non-profit organizations. On our way to the next thrift shop we spotted this dinosaur hanging out in its natural habitat, the perfect photo op for vintage minded folks like us! 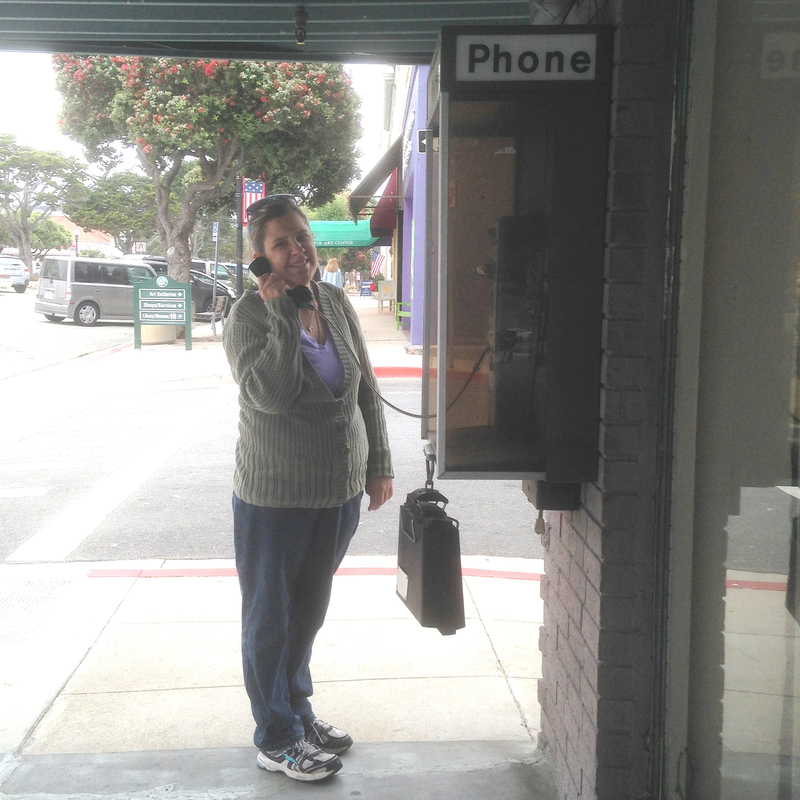 We didn't even know pay phones still existed, but alas, Savannah found out when she lifted the receiver that there was no dial tone and it was just for show. 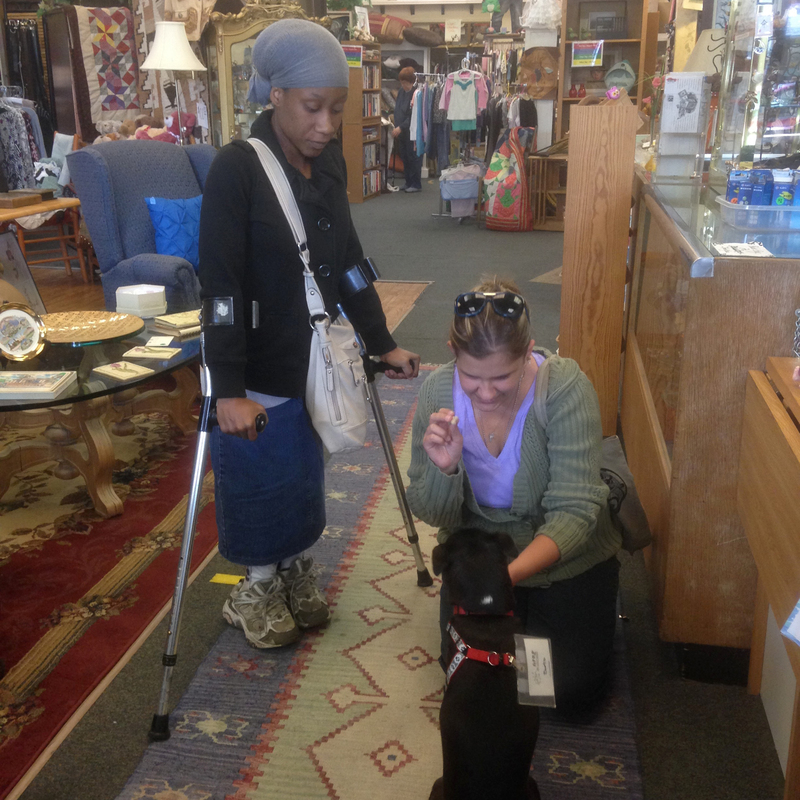 Our last stop in Monterey was the AWAG thrift shop where we met Bootsie, the little black rescue dog who pretty much runs the place. The Animal Welfare Assistance Group raise money to help people who might have trouble paying for the costs associated with keeping their pets. This includes financially disadvantaged seniors, disabled veterans, and the owners of service dogs. We were more than happy to look around their lovely shop and got a great deal on some Mid Century Franciscan dinnerware in the 'Indian Summer' pattern. We timed our day so that we could make a stop in Gilroy for some pickin' around lunch time while on the road. We fueled up at Taqueria Cancun and stopped in at the best Goodwill ever where we found everything we could want and more. We picked up a bunch of kitsch 1970s Neal the Frog kitchenware from Sears and some pretty red glass Christmas candle jars to post in our Etsy shop in time for the annual Chrismas In July online shopping trend. 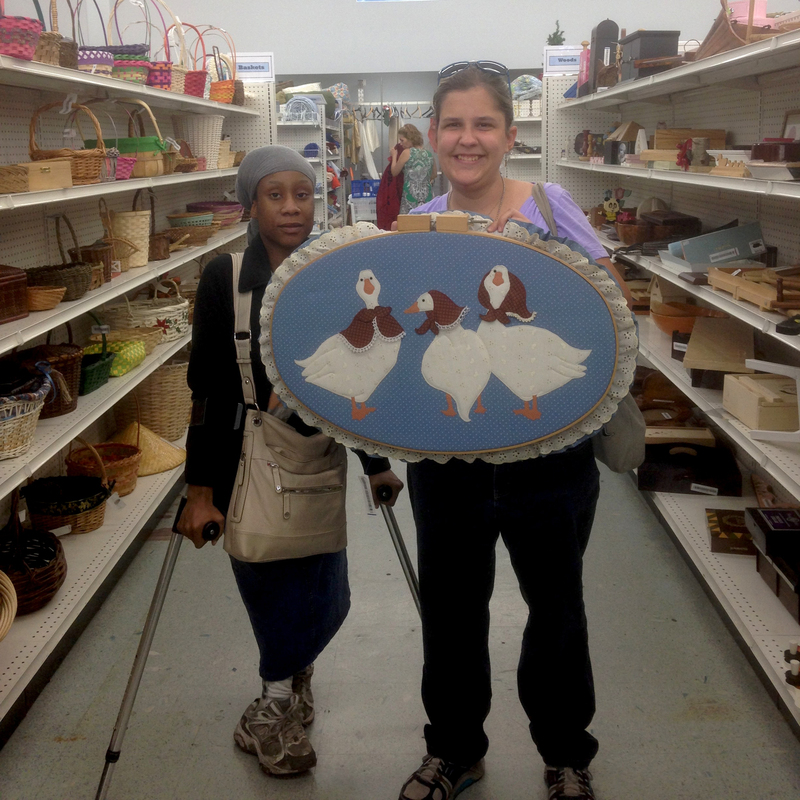 In the Things We Left Behind category is this huge 1980s country blue goose wall hanging, complete with a lace trimmed edge. There are some things you come across that you know are vintage, but you also know that customers won't really respond to them. This was one of those items. We took a photo with it to share back at work and headed to the cash register with a cart full of items we did want. It may have happened late in the trip, but we just knew our pickin' persistence would pay off in the long run. Check out our Etsy shop LittleRedHenVintage or come visit us at Vintage Hen, 973J East Avenue in Chico, CA to see the items we found on this and all of our other pickin' trips. Look forward to hearing about the Treasures you found!